There are run-of-the-mill eccentric Californians, and then there's former detective Charlie Waldo. Waldo's old flame Lorena, hiding peril of her own, draws him toward the case, and Alastair's greedy network convinces Waldo to take it on. But after such a long time away from both civilization and sleuthing--and plagued by a confounding array of assailants who want him gone--Waldo must navigate complicated webs of ego and deceit to clear Alastair's name . . . or confirm his guilt. Howard Michael Gould began his career on Madison Avenue before moving to Los Angeles, where he has worked as a screenwriter and playwright as well as executive producer and head writer on a number of network comedies. Last Looks is his first novel. “The plot is good and the protagonist is even better. It's fast, funny, and well worth a sequel." "Gould’s scriptwriting experience shines through here. Each page contains a number of crystal-clear images that beg for translation to video....There’s also some humor in just the right places to keep things from becoming too dark." "Last Looks is a fun, fast, and quirky take on the essential depravity of modern society in general, and Hollywood in particular. Howard Michael Gould is both thoughtful and hilarious, and I can't wait to see what he does next." "What a joy, amid all the bland, usual suspects flooding the crime genre, to discover a true standout. Charlie Waldo, the scruffy, eco-maniacal protagonist of Last Looks, is one of the most eccentric and compelling heroes to appear on the literary scene in—well, forever. 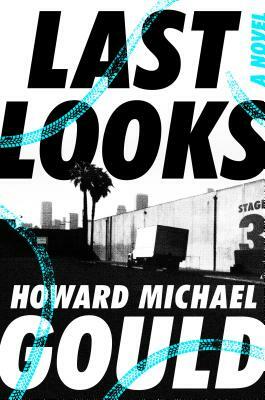 Howard Michael Gould has penned a joy of a story, with a remarkable supporting case and a wonderfully convoluted plot that zips effortlessly among the Hollywood hills. I loved this book and recommend it with all my heart."